It was my first time ever to anywhere in Region XII, that Mindanao region with a tongue twister for a name: SOCCSKSARGEN (for South Cotabato, Cotabato City, North Cotabato, Sultan Kudarat, Saranggani and General Santos City). Glad to have the 3rd Tacurong Bird Festival fall on days with no classes, I was excited to join Adri on his trip. I was also excited to touch base with Felix, who had been based in Gen San for the past several months. As soon as we touched down in Gen San early Friday morning, we were immediately whisked off by Felix's right-hand man Ronald to the opening ceremonies for the bird festival - a conservation forum held at the City of Tacurong in neighboring Sultan Kudarat, a couple of hours away. I wrote about the conservation forum for the WBCP monthly newsletter here. After a productive morning at the forum, we proceeded to the Baras Bird Sanctuary. 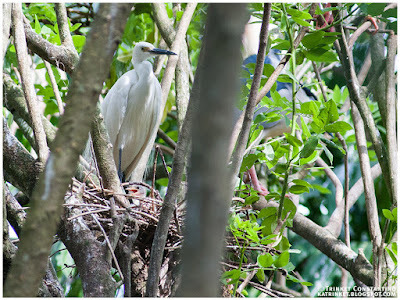 Formerly a peppercorn farm owned privately by the family of Rey Oliver Malana, the sanctuary came to be when a few egrets began regularly roosting in the area. The roosting population grew larger and larger, and eventually the farm became a regular breeding site for thousands of egrets and herons. It was then converted to a sanctuary for the birds who found it a welcome and safe home. 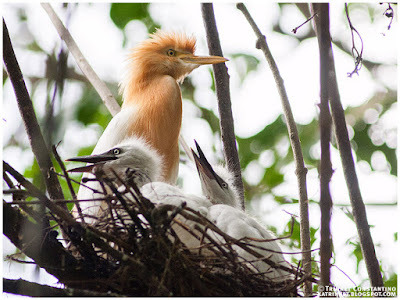 The sanctuary became a top tourist destination for Sultan Kudarat and the Tacurong Bird Festival was started in 2015. When we got to the sanctuary, a large banner for the bird festival welcomed us. Booths and buntings and a trade fair in full swing greeted us. Music was playing (of course, what's a Philippine fiesta without the loud music?!?) and different activities were ongoing. We started with a brief stop at the information center, where there was a map of the property and also a photographic list of birds which could be found in the sanctuary. Adri exchanged pleasantries with the owner and the guides he had met on a previous training workshop. Everyone was in a good mood. I was excited to get started on the path and look at the birds, already I could see (and smell!) the fringes of the roosting and nesting area. Felix and I had to wait a while as Adri was ambush-interviewed for the local news. Wide-brimmed kudong (native woven hats after which Tacurong City was named) were piled at the start of the path, an invitation to everyone to please wear the head gear or risk (high risk!) getting splattered with bird droppings in your hair and shoulders! There was also very informative signage about how not to disturb or touch the birds and about the regular health surveillance at the sanctuary. 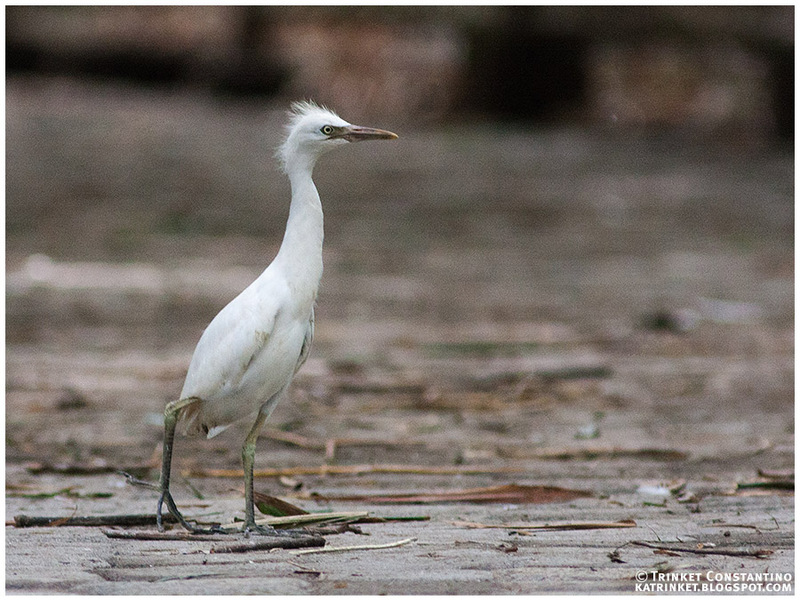 The herons and egrets seemed to be everywhere! 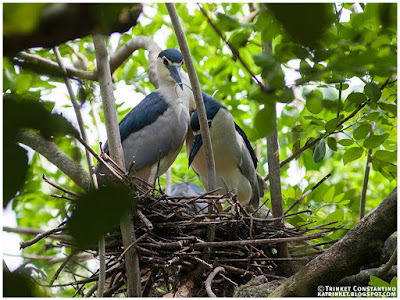 Flying above, walking around in the trees and on the ground, sitting on nests, feeding, being fed, preening - it was an overwhelming display of roosting and nesting behaviour. There were several Black-crowned night herons, looking handsome in their breeding plumage, with scarlet red eyes. There were several immature herons walking around too. 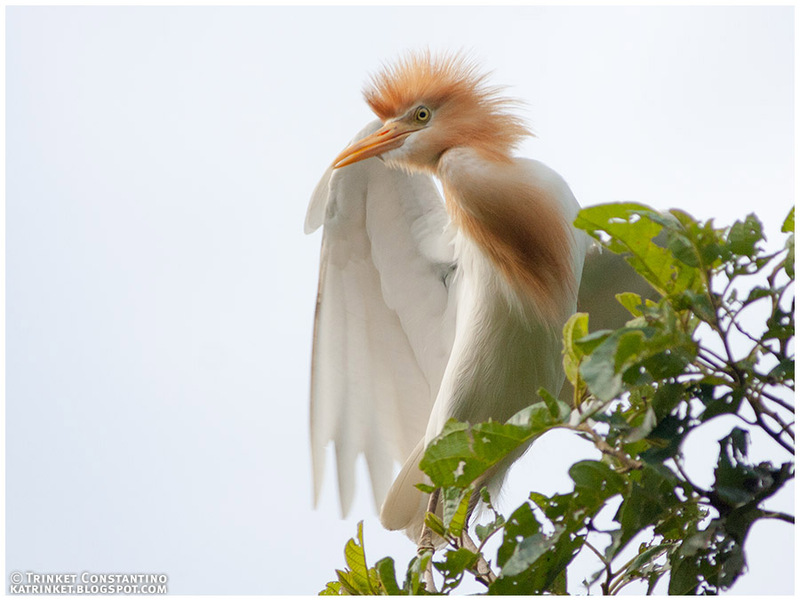 Little Egrets were also plentiful, again with billowy breeding plumes running down their necks and backs. The most in number were Cattle Egrets, with their distinct orange heads and breasts, a contrast to the all-white non-breeding plumage they take on the rest of the year. 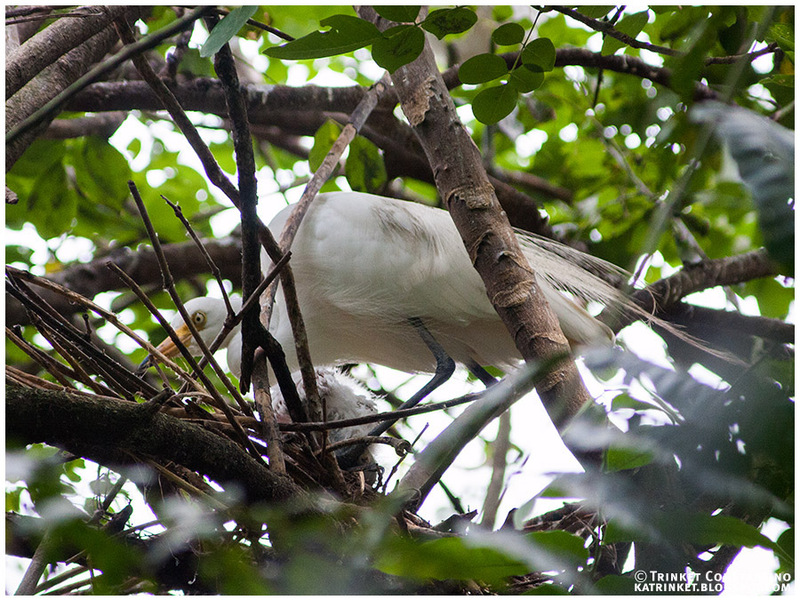 Felix even spotted an Intermediate Egret at the nest with a very young nestling. It was the first photographic evidence for breeding of this species in the Philippines! 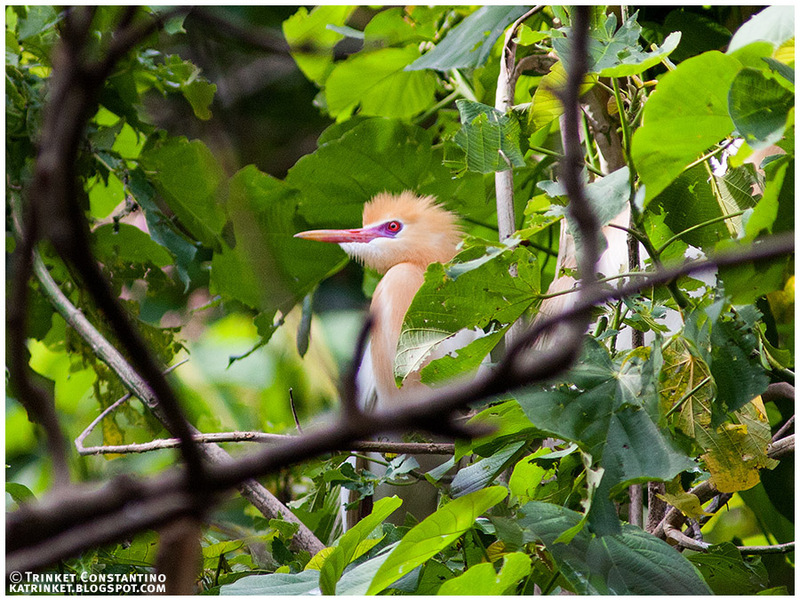 But there was a lot to see and observe, so the entire walk through the sanctuary was engrossing to a birder like me. The density of the nests was amazing. it seemed that every available branch was occupied by a careful pile of sticks and twigs (looking very flimsy to me). 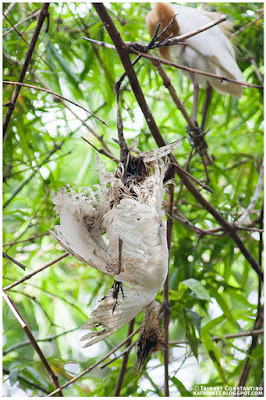 Look left, right and up... nests were everywhere. The ground was littered with broken eggshell, and I'm sure I spotted a few intact eggs as well, probably jostled out of the nest accidentally, or even on purpose. I even saw this dead frog. Probably food brought back to the nest but dropped in the feeding frenzy. Competition here must be fierce. 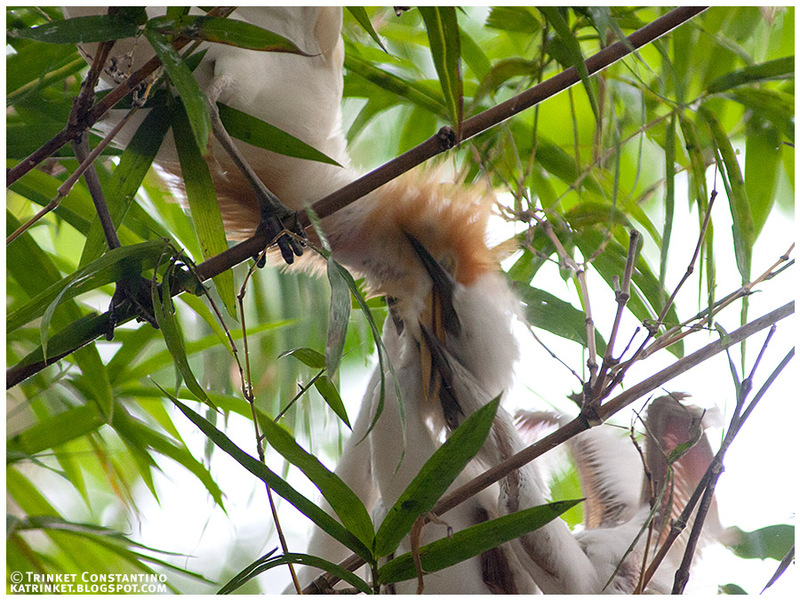 The frantic scrambling at the nest inevitably leads to some young birds falling out. Several times we saw young birds walking on the ground, like this young cattle egret. 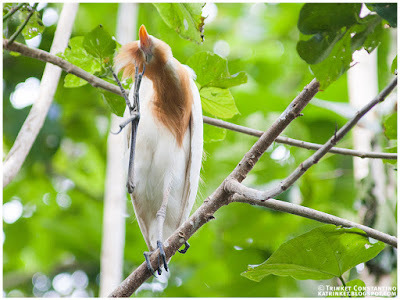 They can come quite close to the human visitors, here's Mindanao-based WBCP-er Forest taking a photo of the young bird that fell right on the path. There is actually a wire fence around the main roosting and nesting area (you can see Felix in the photo above right beside it). The fence is to keep humans out rather than the birds in. The sanctuary is also bordered by a river, and unfortunately, some people still come in at night to poach eggs. 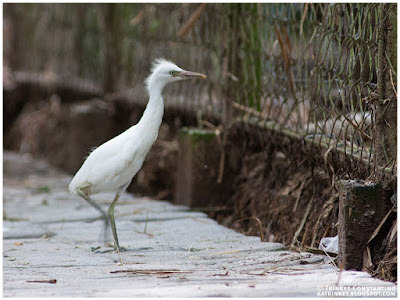 The young Little Egret wandered around, blocked by the fence, it turned the opposite way towards the bank of the river lined with bamboo. The chances it would survive would probably be very low. Though the signs of new life on nests were everywhere, a careful look around also showed a few young victims of the balance between life and death. WBCP-er and wildlife biologist Lala E. had a student with her who was studying the stomach contents of these unfortunate casualties, to determine prey and prey density. I imagine the biomass required to support these thousands of young birds must be astounding! ... and the frenzied madness of feeding when a parent arrives at a nest with food! 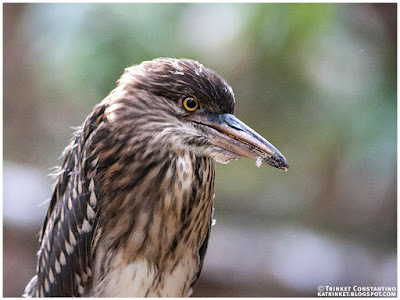 Of course there were other smaller birds at the sanctuary. 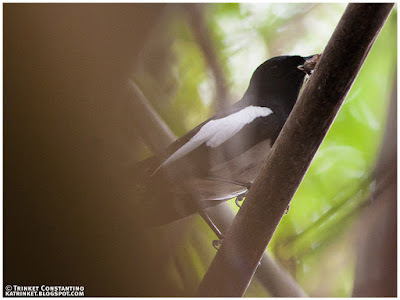 We spotted the ubiquitous Eurasian Tree Sparrows and Yellow-vented Bulbuls had Philippine Pied Fantails, Asian Glossy Starlings, Zebra Doves and Collared Kingfishers. A Philippine Magpie Robin sang melodiously, partially hidden in the bamboo. 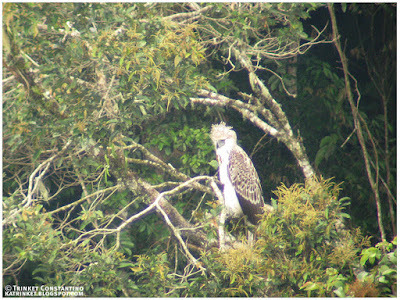 Brahminy Kites flew overhead and in the surrounding rice paddies we also spotted Javan Pond Herons and Rufous night herons. There were several visitors to the sanctuary that day, probably because of the festival. Emelie Jamorabon, municipal tourism officer, mentioned that the sanctuary was one of the top local destinations for tourists. I hope that the opportunity and the potential of the sanctuary for connecting the general public with nature and for education is maximised. 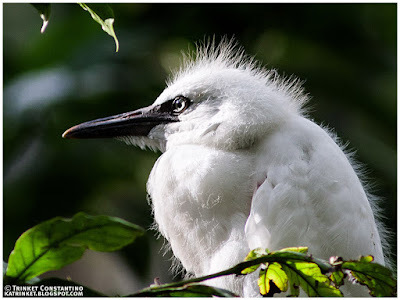 At least, I'd like to think that these "common" birds, placed in great density and an intimate setting, at an interesting point of their life cycle, can be engaging even to the generally nature-averse person. The organizers set up a tall crane at the edge of the roosting and nesting site for a (literal) birds' eye view. With the sun set as a back drop to the flocks coming in to roost, the view was worth the "oohs" and "aaahs". My favorite birds for that afternoon were the Cattle Egrets. A familiar bird on any pastoral landscape - perched on carabaos and following farmers in the rice fields; at the sanctuary they seemed to take on an almost regal bearing in their breeding ensemble . Snow-white plumage highlighted in orange, piercing eyes, beaks and facial skin now almost magenta, feathery plumes running down their bodies. Sometimes, you just have to take a second glance at a fortuitous time and see that the common can be uncommonly beautiful. The 3rd Tacurong Bird Festival was held last May 12-13, 2017. 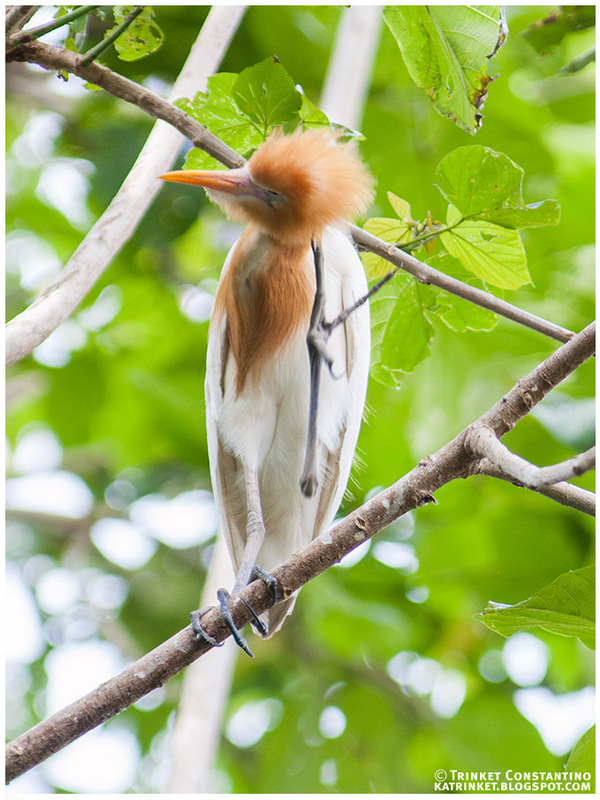 Learn more about the Baras Bird Sanctuary by visiting their facebook page. Thanks to the organizers of the festival and the owners and staff of the Baras Bird Sanctuary!